After 55 years of use, historic Zollner Stadium was torn down; and a new Fred Zollner Memorial Stadium stands as home of the Concordia Cadets. Dedication of the stadium took place on August 29, 2003. It was a memorable evening with honored guests and a Cadet victory over North Side High School. Carl Bennett, former player and general manager of the champion Pistons fast pitch softball team was the honorary guest. Former softball players were also in attendance to see the game as well as the extensive display of Zollner Piston history and memorabilia. Renamed the Fred Zollner Athletic Complex – Home of the Concordia Cadets, Concordia’s athletic facilities include the football/track stadium, a nine-lane track, baseball diamond, softball diamond, practice football field, the 12-court Fred Zollner Tennis Complex which is home to both the Bishop Dwenger High School and Concordia Lutheran High School tennis programs, and the rappelling tower (JROTC and adventure training). 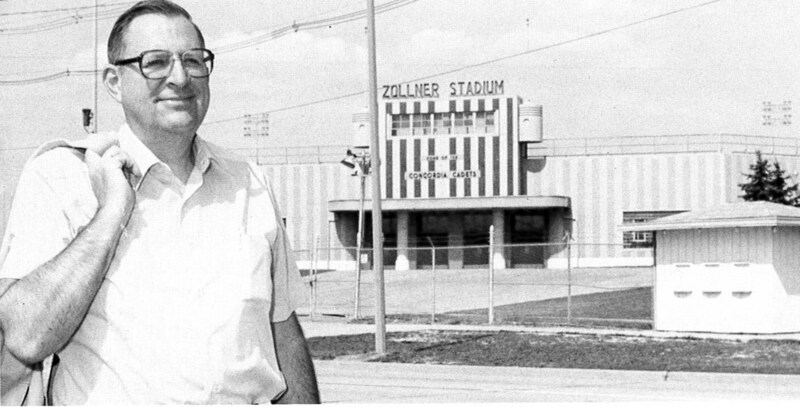 The original Zollner Stadium was opened on May 30, 1947. It was the home of the World Champion Zollner Piston Softball team and a variety of other special events including Holiday On Ice. In 1958, Lutheran Education Properties purchased Zollner Stadium and the grounds for Concordia Lutheran High School. The softball stadium was converted into a football field in 1959; and the Cadets began playing there that fall. Concordia is proud to do its part in preserving the memory of one of Fort Wayne’s outstanding citizens. The dedication of the new stadium provides Fort Wayne with a lasting legacy of Fred Zollner and his support in the city and youth sports. In Fred Zollner’s words, the new stadium is "major league." 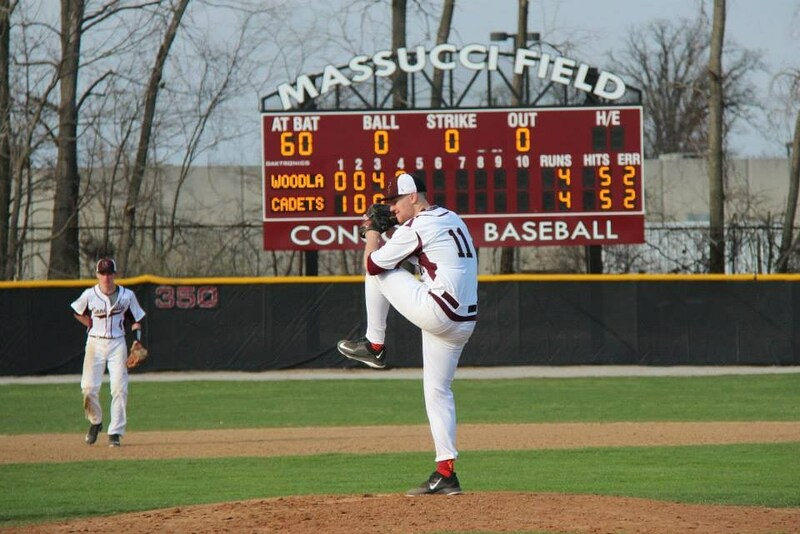 Massucci Field was dedicated on April 25, 2015 in honor of longtime baseball coach Jack Massucci. Coach Massucci coached the Concordia Lutheran High School baseball team for 34 years, retiring in 1996 with a record of 520 wins and 354 losses. His number, No. 24, is the only number in the history of Concordia baseball to be retired. He holds seven conference titles, five IHSAA sectional titles, four regionals, three semi-state crowns, three Final Four appearances, a state runners-up title, and has coached a major leaguer--not to mention being named to the Northeast Indiana Baseball Hall of Fame, the Indiana High School Baseball Coaches Hall of Fame, and the Concordia Lutheran High School Athletic Hall of Fame. Along with leading the Cadet baseball team, he also coached football, basketball and wrestling. He was a member of the Fort Wayne Baseball-Softball Commission for 25 years, receiving the Charles Wilt Award and the Fort Wayne Sports Corporation Community Service Award. He is currently the vice president of the Wildcat Baseball League.